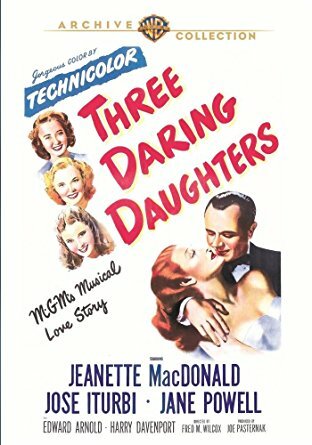 Jeanette MacDonald, Jane Powell, and Jose Iturbi star in THREE DARING DAUGHTERS (1948), an enjoyable family musical available on DVD from the Warner Archive. Over a decade after serving as associate producer for the Deanna Durbin Universal Pictures hit THREE SMART GIRLS (1936), Joe Pasternak made another musical about three daughters contending with a divorced mother's love life, MGM's THREE DARING DAUGHTERS. 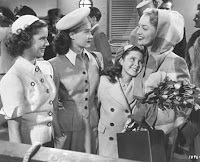 MacDonald plays Louise Morgan, an overworked magazine editor and single mother of three daughters, Tess (Powell), Ilka (Ann E. Todd), and Alix (Elinor Donahue, billed as Mary Eleanor Donahue). When Louise has a fainting spell, her doctor (Harry Davenport) prescribes she go on vacation sans children so she heads off on a Caribbean cruise -- and comes back married to the great conductor and pianist Jose Iturbi (playing himself, sort of, a concept which is both charming and goofy). 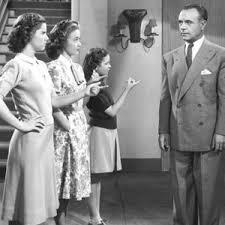 Unbeknownst to Louise, while she was gone the girls have asked the employer (Edward Arnold) of their foreign correspondent father to bring him home, childishly imagining that their divorced parents only have to be reunited and they'll want to remarry. Louise and "Mr. Iturbi" thus have some unexpected complications to deal with when they arrive home, planning to announce their marriage to the girls. The girls are a bit bratty and selfish in their behavior at times, but -- like Durbin in her films -- they get away with it because they're also cute and charming. Powell looks glorious in Technicolor, and it's wonderful hearing her sing, with and without MacDonald. A "Route 66" number with Iturbi is particularly cute. Ann E. Todd is an underrated child actress who was in many good movies, and Elinor Donahue was cute as a button, years before playing Betty on FATHER KNOWS BEST. I'm happy to say that at this writing all three of the titular daughters are still living. 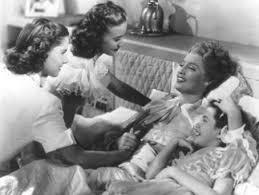 Jane Powell is 89, Ann E. Todd is 87, and Elinor Donahue is 81. The relationship between MacDonald and Iturbi is sweet, if strangely sexless; MacDonald was always a charmer, and it's fun watching Iturbi playing the "movie character" version of himself in such a large role. He had a nice screen presence and did well handling light comedy. Arnold adds immensely to the fun as a sort of traffic cop for the various characters as they come to him with their relationship challenges. Davenport is always welcome on screen; I wonder how many times he played a doctor? Charles Coleman, who incidentally was also in THREE SMART GIRLS, plays Arnold's butler, and Ian Wolfe is also on Arnold's staff. The cast also includes Angela Lansbury's mother Moyna MacGill, Tom Helmore, Kathryn Card, Thurston Hall, harmonica player Larry Adler, and Iturbi's sister Amparo, who duets with him. 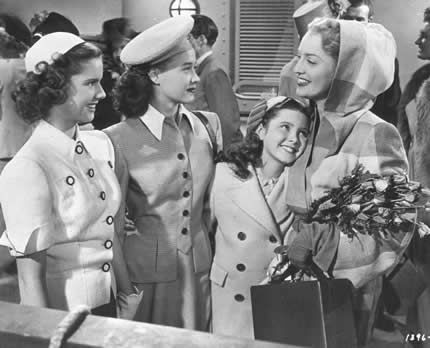 THREE DARING DAUGHTERS was directed by Fred M. Wilcox and filmed by Ray June. It runs 115 minutes. The Warner Archive DVD is a very nice Technicolor print with good sound. The trailer is included on the disc. I really enjoyed revisiting this film for the first time in years. MGM musical fans are sure to enjoy it as well. 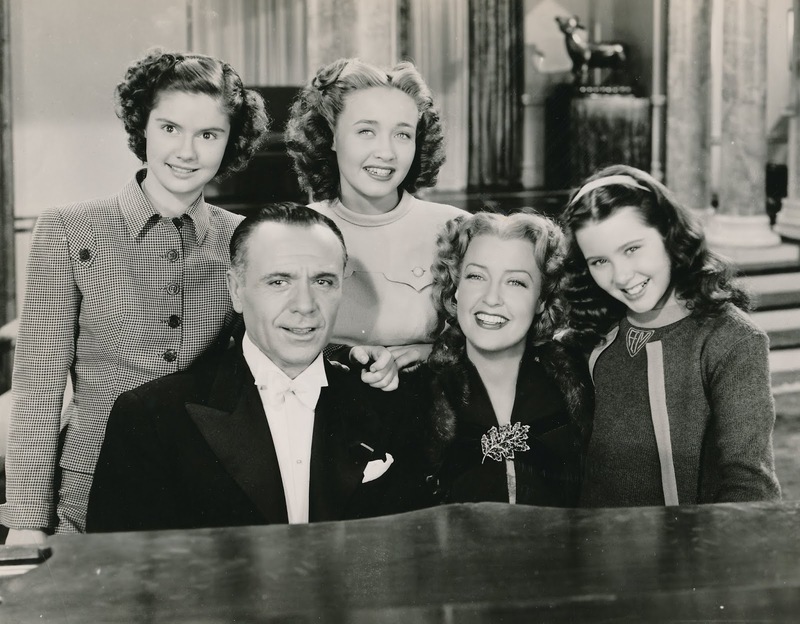 Although I'm a big fan of Jeanette MacDonald, Jane Powell and Jose Iturbi (as a musician), I am sorry not to be able to share your enthusiasm for this twee film and I cannot say that I have ever enjoyed watching it except for the music, which, of course, is first class. Interesting this one doesn't do much for you, Mel. It's surely not MacDonald or Powell's best work but I've always found it fun -- the cast, music, and lovely Technicolor are enough for me, not to mention the bracing comic bits with Edward Arnold. Would be interesting to know how others find it! Your line 'strangely sexless' something the two female leads were not covers this thing to perfection. I saw it when I was nine years of age, and all I could tell you was, and is, I did not want to grow up and be like Jose Iturbi.